Keeping a few cans of canned salmon (ideally, wild-caught) in your pantry is a budget-friendly and convenient way to make a meal in less than 15 minutes. It’s a great source of protein and contains high amounts of omega-3 fatty acids that help with maintaining both skin and brain health. Use it to make salmon burgers, taco or sandwich fillings, or stir into soups for quick meals. Perfect for: Easy, no-fuss dinners. Ever have those days after you get home after a long day and need dinner in 10 minutes? 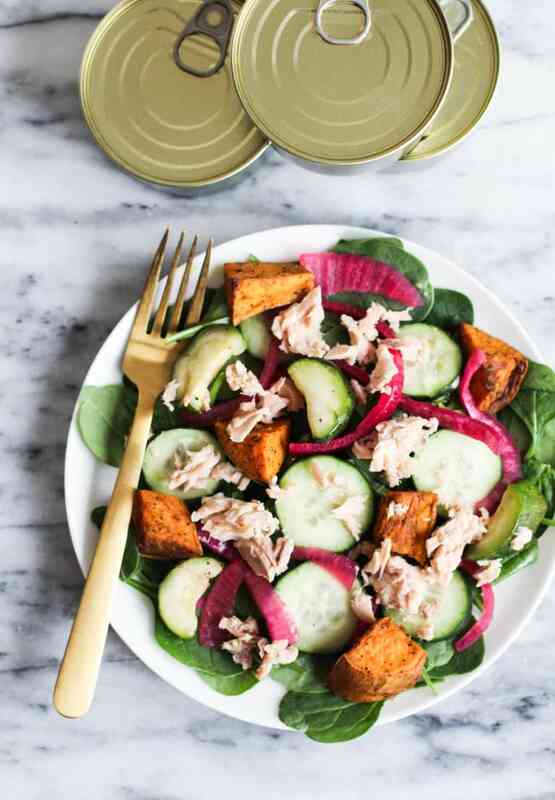 Try mixing a can of salmon with ½ avocado, 1 tablespoon of plain strained yogurt, black pepper, and lime juice to taste over mixed greens or roasted vegetables for a quick and easy salad. Frozen vegetables can be stored up to 10 months in the freezer, so if you keep some stocked, you’ll always have a vegetable base ready to heat and eat. A 1-cup serving contains almost 100 percent of your daily vitamin C requirements, which helps keep your immunity strong and makes your skin glow. Craving a cauliflower pizza crust for dinner or a veggie-dense smoothie for breakfast? The cauliflower rice can be used for both! 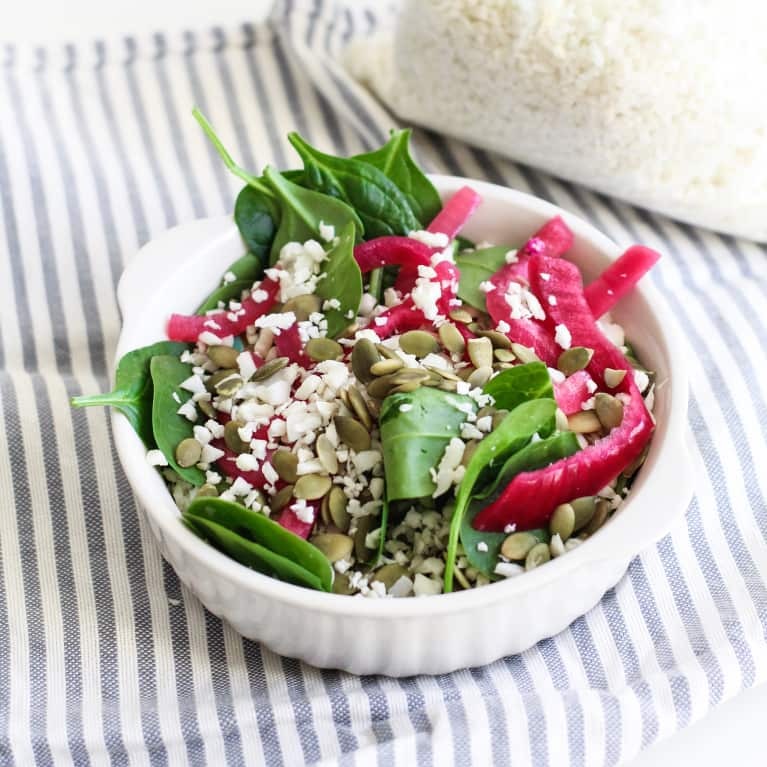 Perfect for: An extra energy boost when you’ve been skimping on sleep and need a little TLC for the dark circles under your eyes; vitamin C helps iron absorb better, so pairing cauliflower rice with an iron-rich food such as grass-fed beef, lentils, eggs, pumpkin seeds or spinach will help give you an extra energy boost! Eggs are a relatively affordable and quality protein that contain vitamins D and B12, necessary for energy production. There are a few handfuls of egg options available at the grocery stores, so it can be confusing to choose which one is best, but here’s a great blog post that breaks down egg labeling and how it indicates the quality. 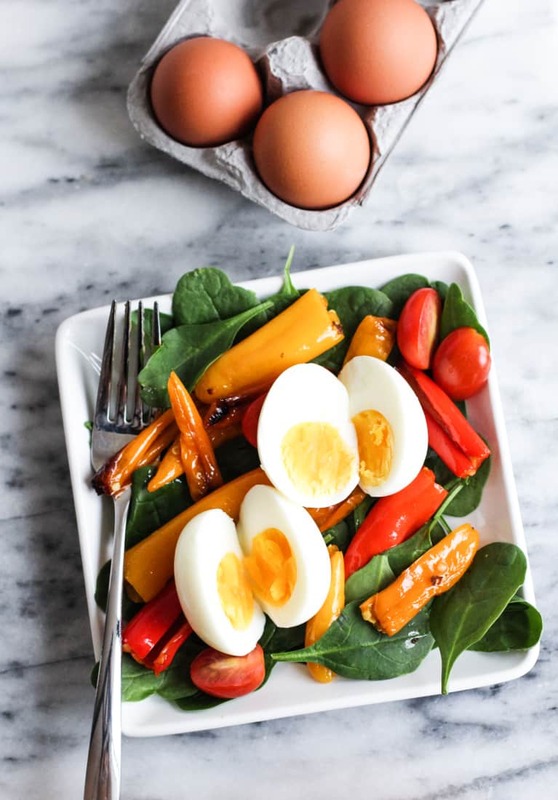 Perfect for: After a night out and you’re feeling a little hung over; eggs contain high levels of cysteine that helps break down acetaldehyde (the source of hangovers!). 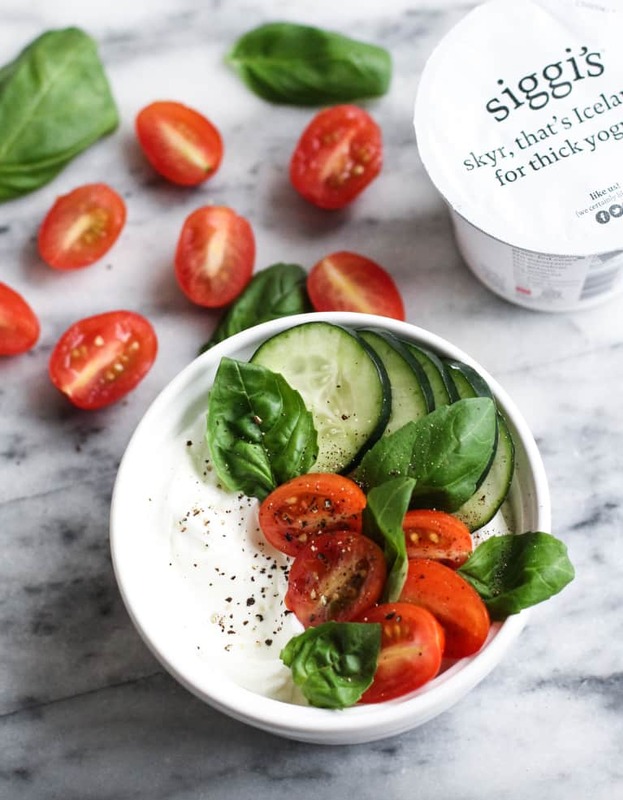 Plain yogurt is like the blank canvas of snacks—dress it up sweet or savory to suit your craving! The combination of healthy fats and proteins will keep you satisfied, making it a great snack option to always keep around. Perfect for: Afternoon snack cravings (both sweet or savory!). 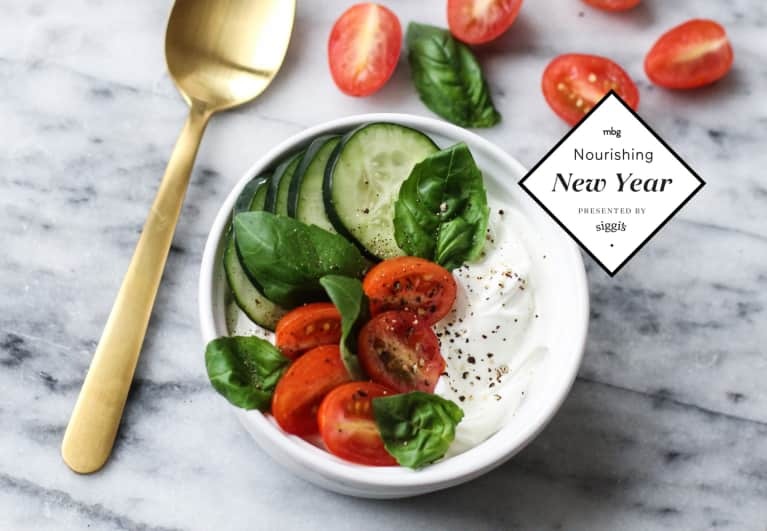 For a savory option, try adding to plain yogurt a combination of avocado, basil, tomatoes, cucumbers, and black pepper to taste. For a sweet option, the siggi’s 4% Vanilla is a great choice. It doesn’t have much sugar but tastes indulgent! Not only are avocados highly versatile and nutrient-dense (they have a higher potassium level than bananas! ), but they’re also very portable and snack-friendly. It’s a great option in terms of a low-sugar fruit that helps with maintaining healthy cholesterol levels. Perfect for: A quick grab-and-go breakfast to toss in your bag if you’re pressed for time (or for when you oversleep—it happens! 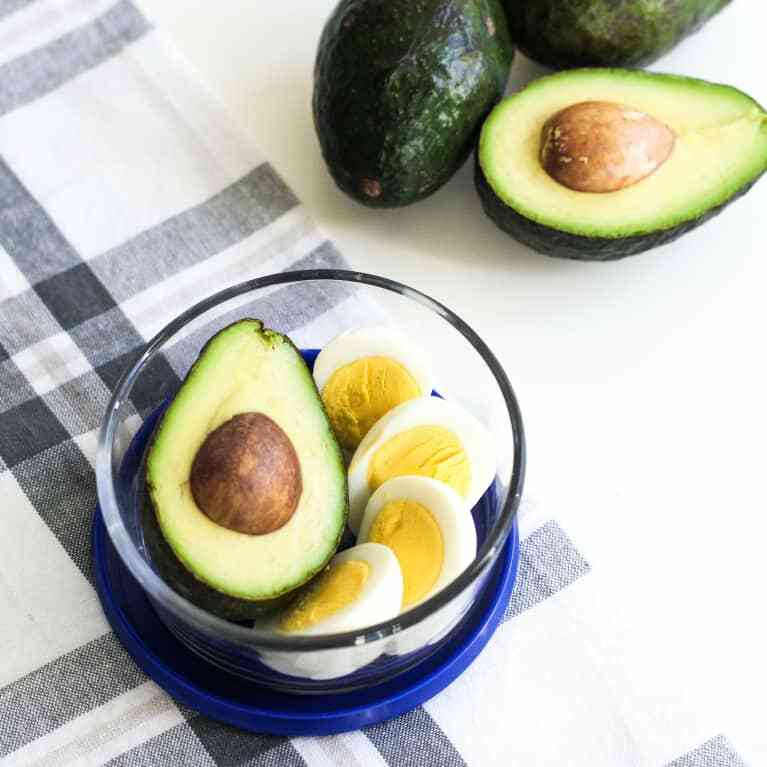 ); pair ½ an avocado with 2 hard-boiled eggs for a satiating combination of healthy fats and protein! 6. Frozen greens or pre-roasted vegetables. By having either frozen greens or some pre-roasted vegetables around, you’ll always have a base or side dish for any meal. 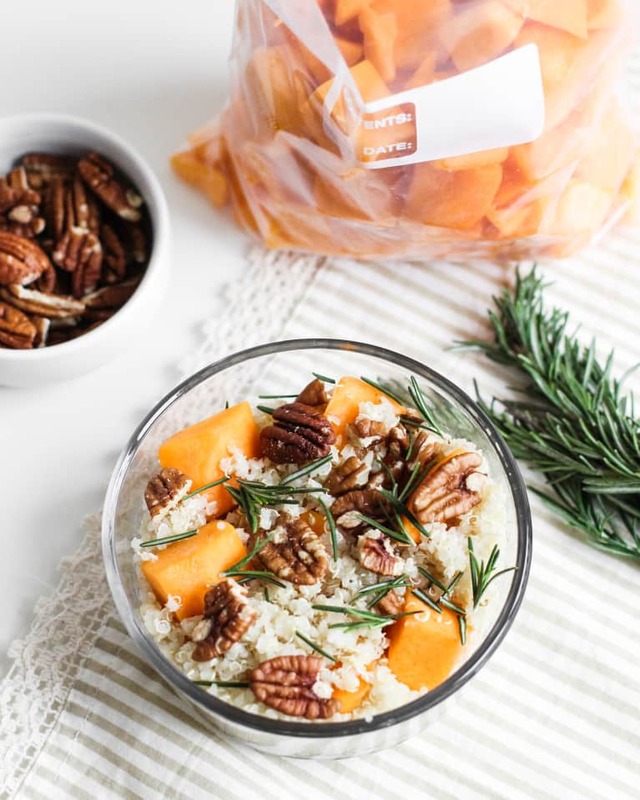 Even if you’re not typically a meal prepper, having one item, like roasted butternut squash, can help you assemble quick meals throughout the week. Frozen greens and vegetables have the same amount of nutrients as fresh, but you won’t risk not getting to them on time before they go to waste. Perfect for: Assembling not-so-sad desk lunches for work (which will help you save some extra cash for your face masks on self-care Sundays!). Try to pick two to three different vegetables to roast for the week and pair with a protein source like wild-caught fish, pasture-raised poultry, or lentils/quinoa to complete the meal. Complete the dish with a healthy sauce—see No. 7! 7. Healthy sauces and condiments. Things like tahini, pesto, mustard, and salsa are your BFFs for turning simple staples into extraordinary meals. Tahini and pesto add nourishing healthy fats while mustards and salsas increase the flavors naturally with spices. Turmeric is a common ingredient in mustards and has anti-inflammatory properties and helps with immunity. You can use them to make homemade dressings, sauces, marinades, and spreads. Tip: Look for condiments that are made mostly from real, whole foods, with no added ingredients that you can’t pronounce. Perfect for: When you have limited groceries and need to whip up something amazing on the fly—get creative with healthy sauces and condiments! 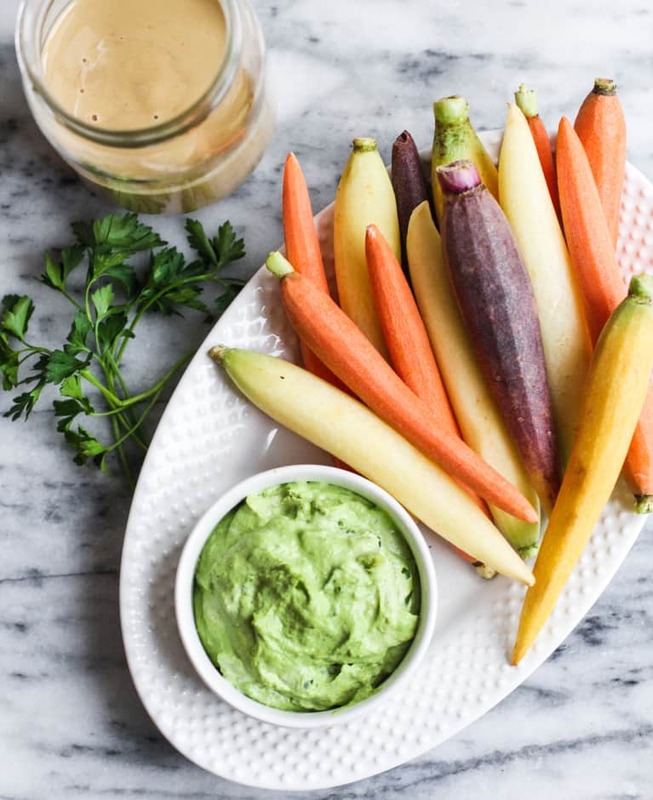 A spoonful of tahini can be added plain to roasted vegetables (as a side dish paired with your favorite protein of choice) as a quick meal, or as an ingredient for a dip paired with raw veggies or crackers. Try blending ½ cup tahini with 2 tablespoons lemon juice, ½ cup chopped cilantro, ½ cup chopped parsley, and ½ teaspoon of cumin for a healthy dip. Instead of striving for perfection, make it a point to stock up on a few essentials so that you’ll be better prepared to roll with the punches this year.